Our instructors do NOT drive to students' homes. All lessons are given at Bothell Music Lessons. It is located at a very convenient location, off SR-522 and I-405. It is across the street from a post office, next to Lyon's Den coffee shop in downtown Bothell, and a few blocks away from UW Bothell and Cascadia Community College. 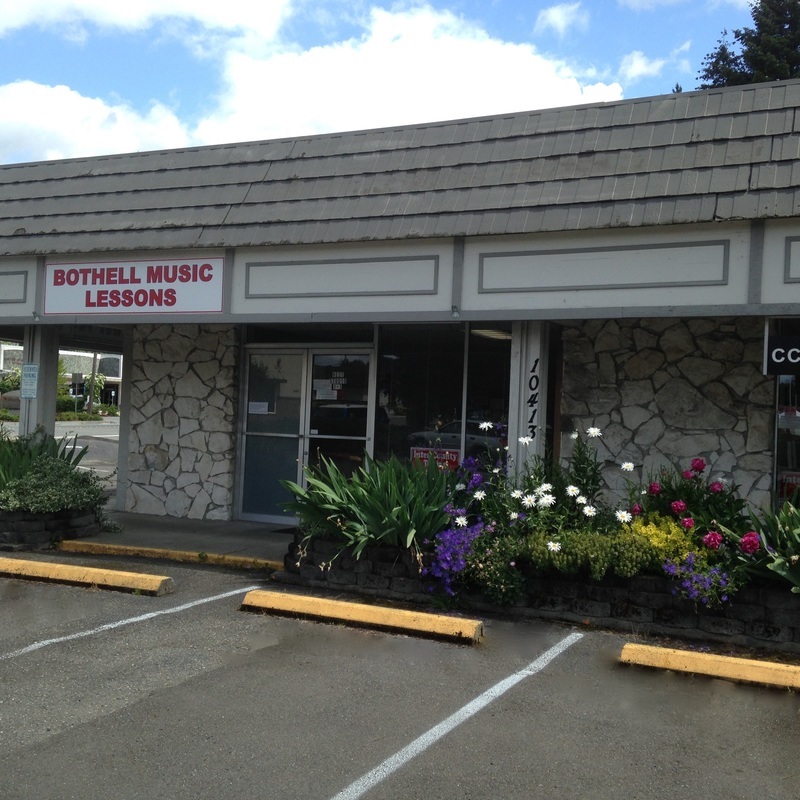 Most students who come to Bothell Music Lessons reside in Bothell, Kenmore, Woodinville, Kirkland, Brier, Lynnwood, Mill Creek, Shoreline, Redmond, Mountlake Terrace, Lake City, Lake Forest Park, Snohomish, and other surrounding cities. If you live in one of these areas it should be comfortable for you to come and take regular lessons at Bothell Music Lessons. We have 2 entrances for West Studio and North Studio. Some instructors teach in West Studio and others teach in North Studio. Please ask your instructor directly which part of the building your teacher teaches in. We do not have a receptionist. If you would like to interview a teacher(s), please see the list of instructors on this website, contact the teacher(s) whom you are interested in contacting, and make an appointment with him/her directly for your inquiry. All the instructors work independently. Their tuition rates and schedules vary. If you are a qualified music instructor and interested in teaching as an independent instructor in a co-op environment at Bothell Music Lessons, please contact us via email.